What would you most be afraid to encounter on Mars? Would it be your fellow explorers gone insane from space sickness? Would it be aliens? How about really small aliens, the kind small enough to move around inside your body and turn the explorers you travel with into hideous monsters? Answer that question carefully. 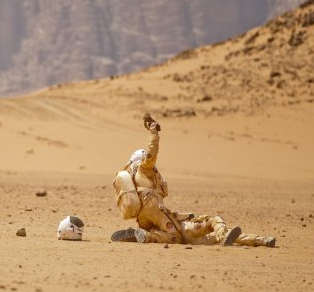 If the last scenario interests you, then The Last Days on Mars might be your kind of movie. 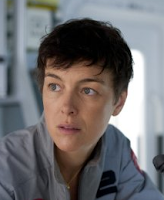 Released late September in the UK, the film follows a team of eight explorers as they encounter tragedy while collecting specimens on the red planet. “Captain Brunel” (Elias “Shutter Island” Koteas) and team are finishing up this last Mars expedition. Crewmen “Vincent Campbell” (Liev Schreiber) and “Rebecca Lane” (Romola “Amazing Grace” Garai) are discussing what has been accomplished. Up to this point, any findings have been routine with a side helping of common equipment issues that keep needing to be addressed. Regardless of the desire to see a blue sky again, no one is looking forward to the long trip home in hibernation. Tempers have been flaring over the minutia of living together in a base-camp on the dusty, barren world. Their goal is now to finish up the last 19 hours of the mission and return to their ship where they will begin the trip back to Earth. But none of them have a clue that once “Science Officer Marko Petrovic” (Goran Kostic) develops a ruse to buy more time to investigate what he suspects are samples of life in rocks, their trip home is going to be put on hold...possibly forever. Making a convincing movie involving planetary science is hard enough with all that can go wrong by way of presenting science facts and space travel details. The Last Days on Mars accepts that challenge and manages to bring a very convincing presentation of everything from tragedy, death, and the interpersonal relationships that preceded them. 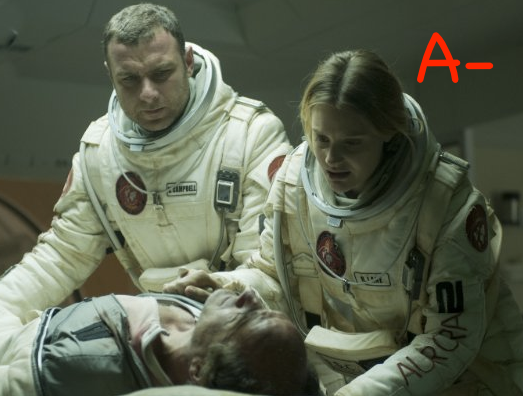 Fans of Schreiber should agree that the actor gives one of the better performances of his career as an astronaut who suffers from anxiety disorder because of a space accident on a previous mission that nearly cost him his life. Schreiber’s flowing chemistry with Garai is an example of truly good chemistry manifesting naturally—something that even veteran actor duos can’t always nail down. Perhaps most impressive is the way the film incorporates human flaws and layers them into advancements of the plot. It would be hard to pick a better cast, one that makes its audience feel like its characters are composed of real-life experts picked from around the world to do their jobs. Being very reminiscent of Alien in its use of lighting, everything we would want in a movie that aims to take top-notch sci-fi honors is here. The interpersonal dramas and tensions and a finely selected cast of largely unfamiliar faces – as well as a most impressive set, props, and filming location (Jordan) – graft us in and keep us there. The only thing they got wrong that jumped out at me was the fact that astronauts are known for having much better senses of humor than most of us. Packed with suspense and riveting tension, there is no solid way of predicting where the story is heading, thanks to some excellent writing by director Ruairi Robinson with material from Sydney J. Bounds, author of the short story on which the movie is based. Not to be forgotten is screenplay writer Clive Dawson known for his work behind the English TV series London’s Burning. Robinson, known only for some obscure short films, steps up to the plate with his first full-length feature and does a damn fine job. Not many directors could have done as well in making such an evenly paced beauty out of a perceivably ugly storyline that bathes in zombie apocalypse bathwater. As far as Martian epidemic flicks go, this one may well set the standard for all to follow. There really isn’t much that could have been improved upon with the exception of some dialog segments and prolonged drama thrown in at intervals where more cautious editing was called for. 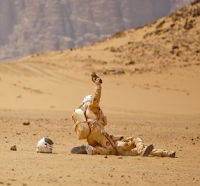 It may clock in as a conventionally low-budget picture, but it packs a mighty big punch as far as Mars movies take us. It may even be one of the best Earth has to offer.